I was trying to implement a script to restart Tomcat Server without need to be aware if stopped. But really, this script doesn’t work like I want. The problem, is that this script doesn’t test the Tomcat state. The call process to Stop it, and the Timeout really isn’t proper to wait if Tomcat was stopped. This my first code and worst, because this method does not consider or take into account the speed of the computer (processor, memory and running processes) and the time it takes to execute. Other mistake was to considere Tomcat always is runnig like Service. Obviously this code is not debugged. 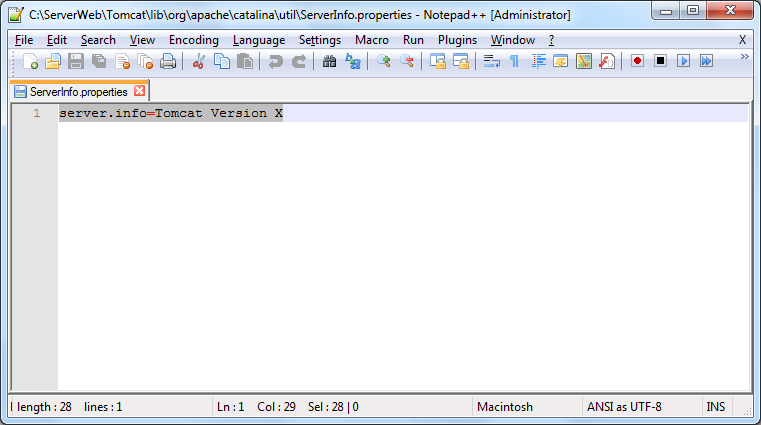 Acording to this, the Server Tomcat is not running, yes it is not running like Service. But, as you can see the tomcat port is being used. 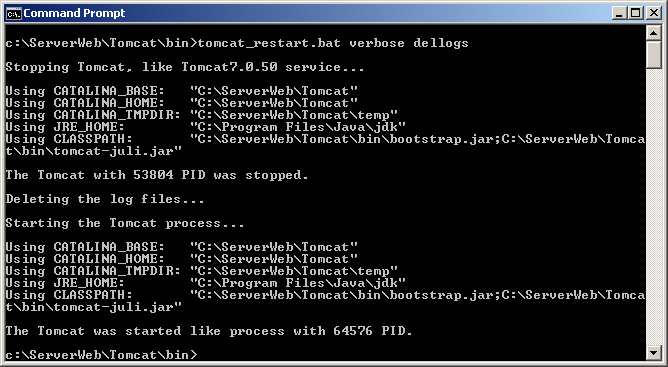 Then the Server Tomcat is running like Process. rem unusedPort flag to verify if PID was exploiter of required Port. rem netstat -nao | find /i ":8080 " | find /i "LISTENING"
rem tasklist /fi "pid eq %%p"
rem echo %%p is a process using the Port %numberPort%! rem echo %%p is a service using the Port %numberPort%! echo The %numberPort% port is not being used in Local Address. Testing my script I can see “who” is using the 8080 Port, and is javaw.exe like Process. I turn off, the process manually. 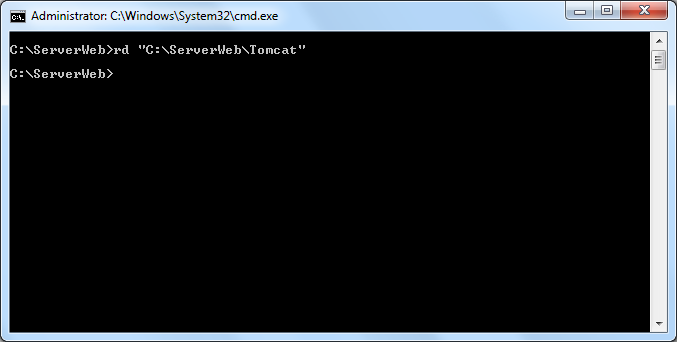 Starting Server Tomcat like Service manually and testing. My Script is useful to check another port, like 80 for Httpd or another port. With this clear and after analyzing the behavior to start or stop the Tomcat server, such as service or process, I made my new script. echo %serviceCheck% was not running. 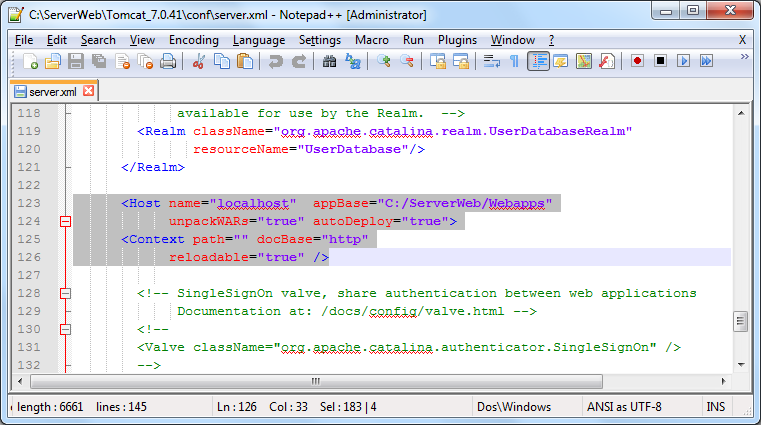 rem To obtain the real (exact) name of service. echo The %serviceCheck% like %serviceName% service was stopped. 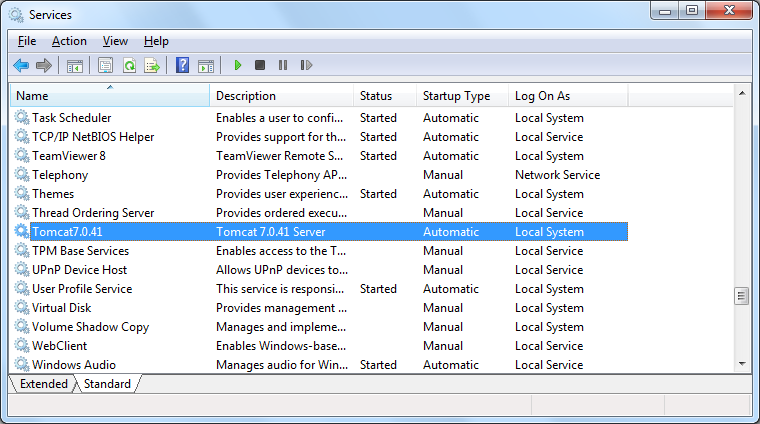 echo The %serviceCheck% with %processPID% PID was stopped. rem The Start process or service take a time, this in charge to do it. echo The %serviceCheck% was started like %serviceName% service. echo The %serviceCheck% was started like process with %processPID% PID. [dellogs] to delete all files of \logs subdirectory of Tomcat’s folder, useful when you want to see clean start or stop of Tomcat. [verbose] to show greater information of process stop and start of Tomcat. Now lets go make test in quietly manner. Now, with this We finished with my post of Tomcat’s restart. I like your comments about this post. A while ago I explained my scripts (JSP and PHP) to handle RTF files, now I will show my built packages (Java and PHP) that include how to handle RTF, HTML, CSS and Script Files basically. 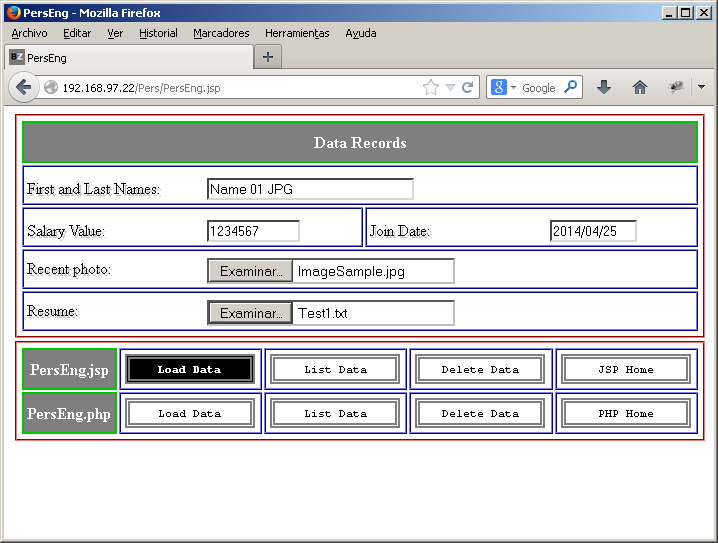 bz-htmlcss2rtf.zip This zip file contains bz-htmlcss2rtf.jar and bz-htmlcss2rtf.phar and files used in this example. 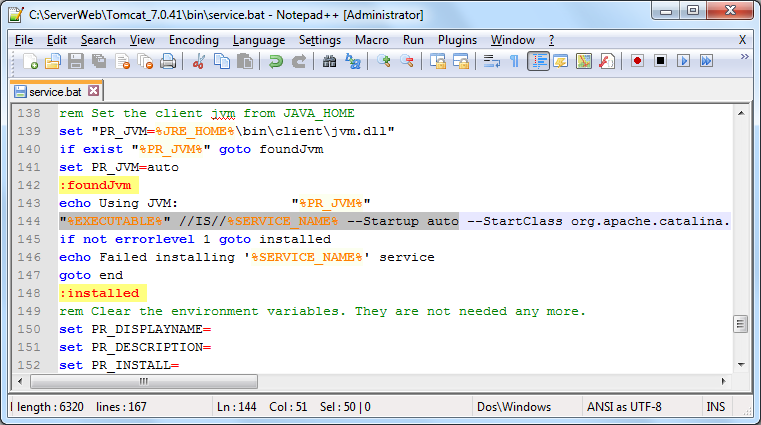 The Java package can be used with Servlet or JSP scripts, my example for simplicity purpose will be in JSP scripts, you can to adapt it to Servlet. 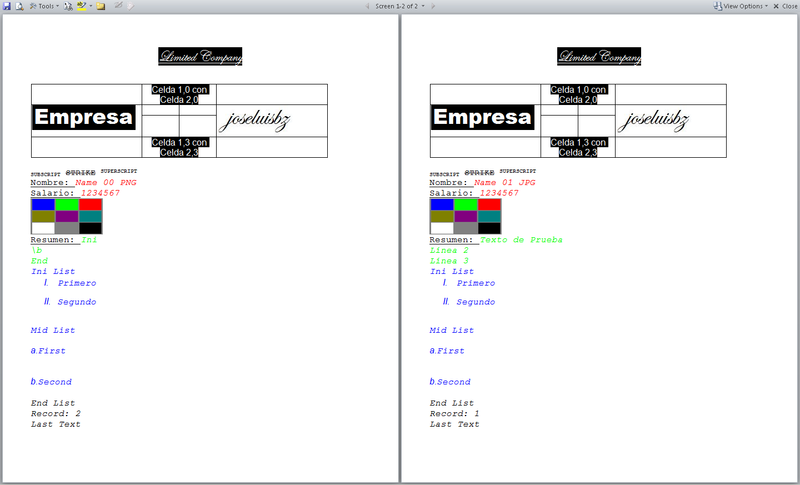 I made two scripts to show you my examples both in JSP and PHP languages. +" cursor:pointer; width:150px; padding:1px; border-width:4px;"
+" border-color:rgb(127,127,127); border-style:double; margin:1px; font-size: 8pt;"
+" padding-top: 4px; padding-bottom: 4px; padding-left: 4px; border-style:double;"
+" font-size:13px; text-shadow: rgb(255,255,255) 2px 2px; Width:37%; left:62%;"
String FindDB = "SELECT SCHEMA_NAME FROM INFORMATION_SCHEMA.SCHEMATA"
String CreateTbl = "CREATE TABLE tblRecords (FirsLastName varchar(30),"
." cursor:pointer; width:150px; padding:1px; border-width:4px;"
." border-color:rgb(127,127,127); border-style:double; margin:1px; font-size: 8pt;"
." 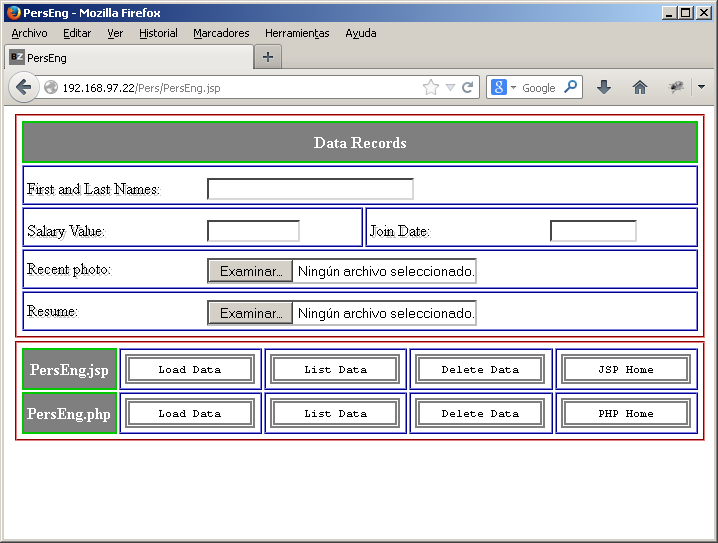 padding-top: 4px; padding-bottom: 4px; padding-left: 4px; border-style:double;"
." font-size:13px; text-shadow: rgb(255,255,255) 2px 2px; Width:37%; left:62%;"
$FindDB = "SELECT SCHEMA_NAME FROM INFORMATION_SCHEMA.SCHEMATA"
$CreateTbl = "CREATE TABLE tblRecords (FirsLastName varchar(30),"
This code displays four pages, depending on the status of a MySQL database if not exists then create it, if there is then given the opportunity to operate it or delete it. When DbCompany there may be operated or removed. When DbCompany has been removed. PE = newConn.prepareStatement("INSERT INTO tblRecords (FirsLastName,"
$PE = $newConn->prepare("INSERT INTO tblRecords (FirsLastName,"
“dbUserf”, “dbKeyf” and “dbCompanyf” are values assigned incorrectly (on purpose) to test session functions instead of “dbUser”, “dbKey” and “dbCompany”. If you have problem, comments or questions using this post, let me know. 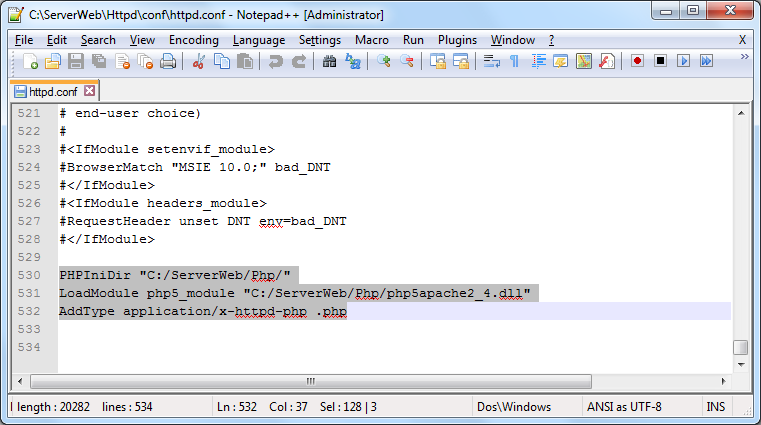 PHP has a function, that allow us to view different information of our system. 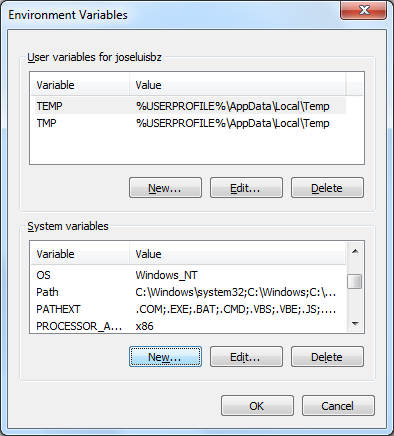 Like variable, configuration, etc. I made a class that allow us to check information like phpinfo of PHP. The way to use this class is a bit different, you must include the package related to my class and use the fucntion jspinfo. 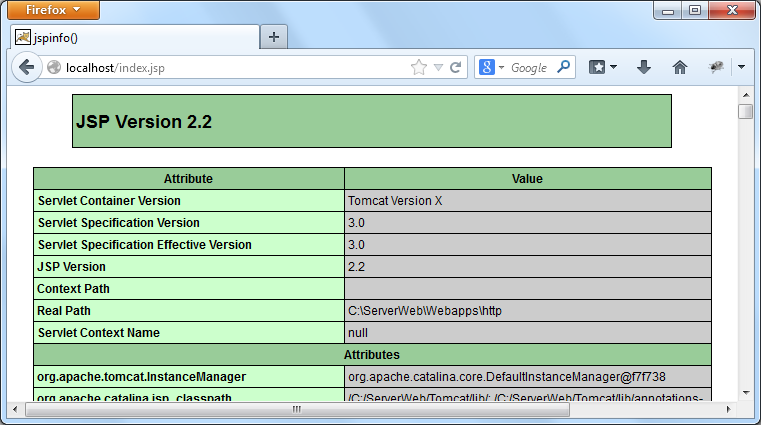 Changing Information of Tomcat Server. Only you need to create a file with the name ServerInfo.properties inside of multiple subdirectories that you will need to create too. Or the name that you want to use instead of “Tomcat Version X”. Later, you will need to restart the Tomcat Server. 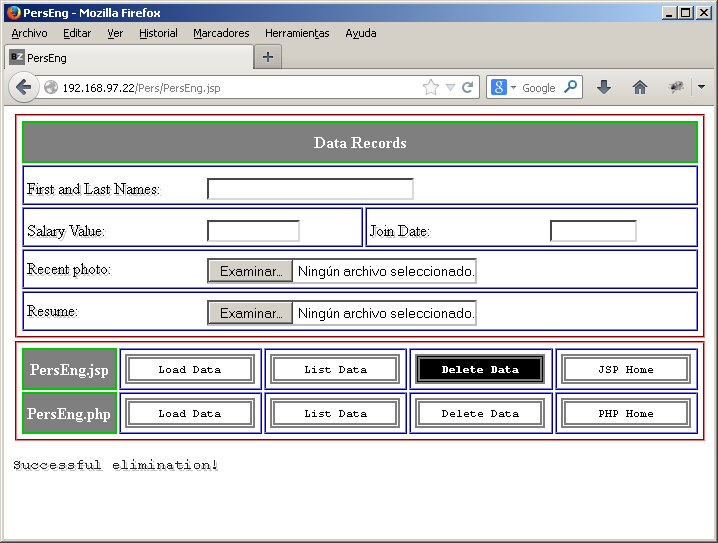 This is my last post about installation of this products (Php, Tomcat and Httpd). 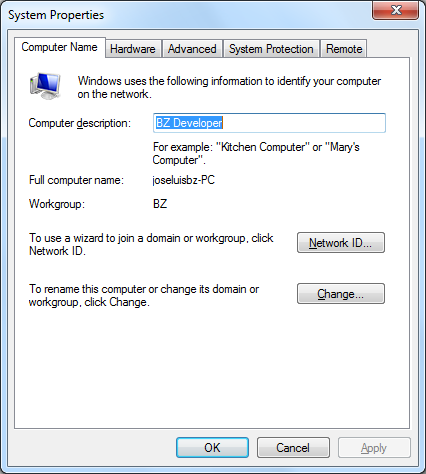 This tutorial was tested using Windows 7 of 32 bits. Preparations for the Php installation. Declaring to system the path of PHP. 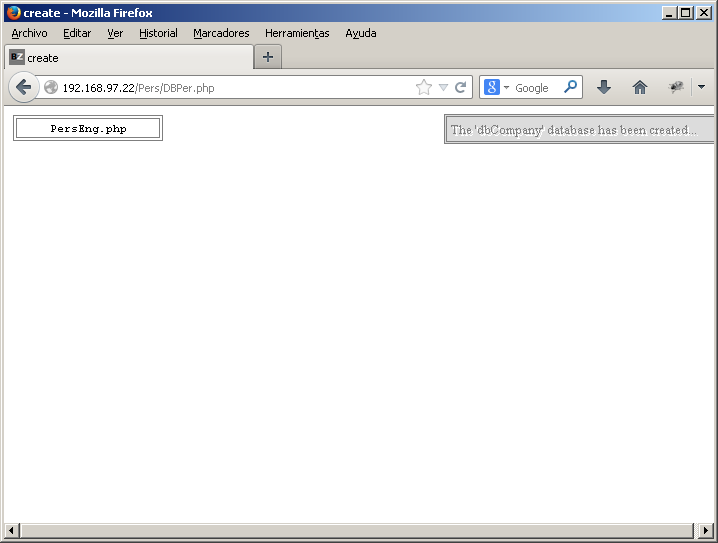 Working with the PHP configuration file php.ini. Preparations for the Tomcat installation. Declaring to system the path of TOMCAT. Optional changes to the Tomcat’s configuration. 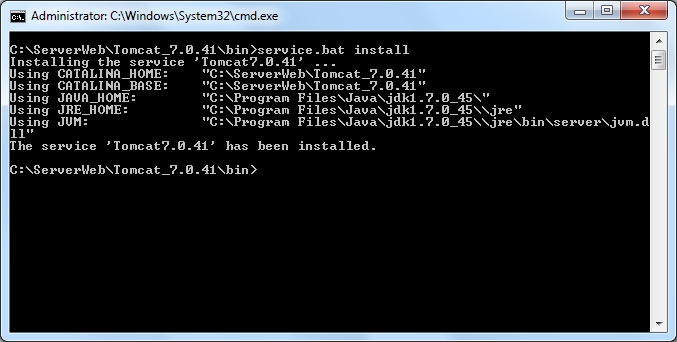 Changing the Compilers of Tomcat. Preparations for the Httpd installation. 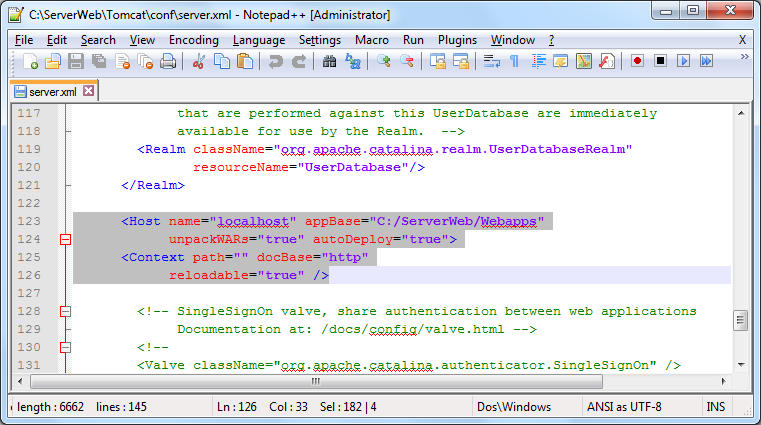 Working with the HTTPD configuration file httpd.conf. 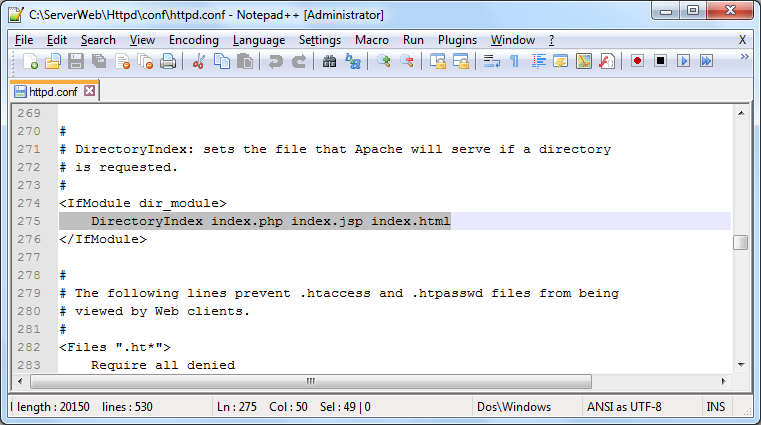 Including handling PHP to Httpd. 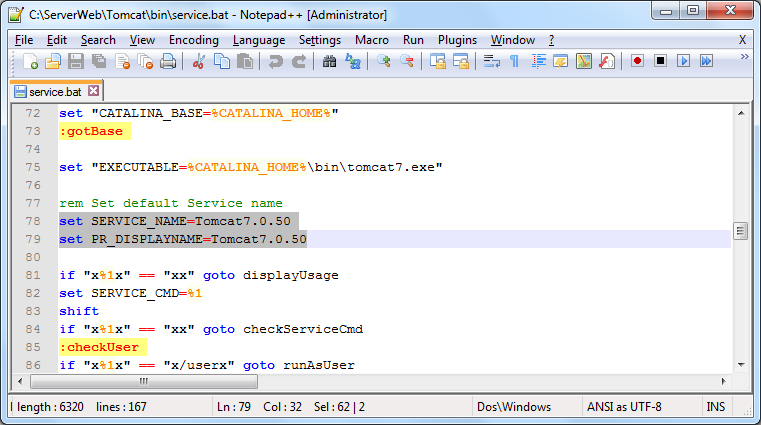 Including the Tomcat Connector to Httpd. 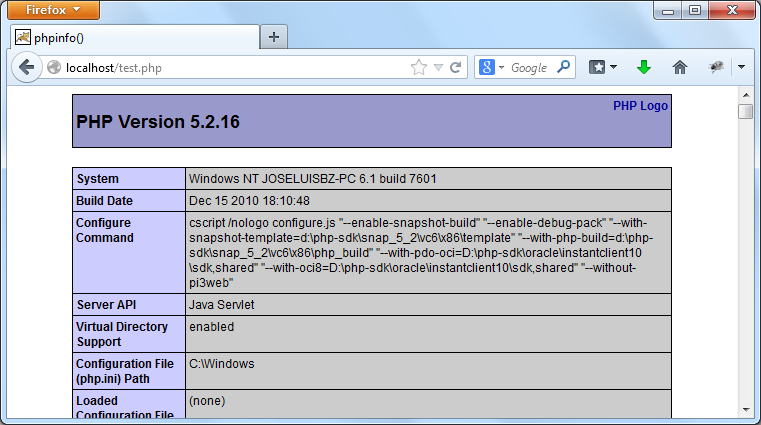 Testing the Httpd (Php, Jsp) Installation. 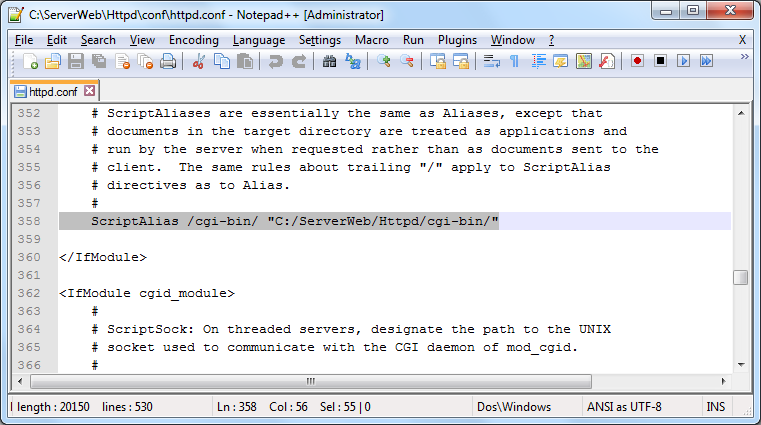 All commands through CLI (CMD console) were in Administrator mode. 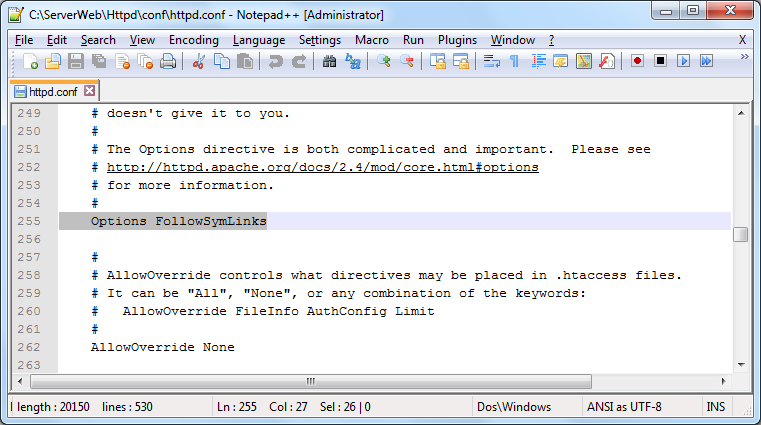 In this post I will work using symbolic links with mklink command, in this manner if I need to change the version of some product, only I will need to redirect its link. 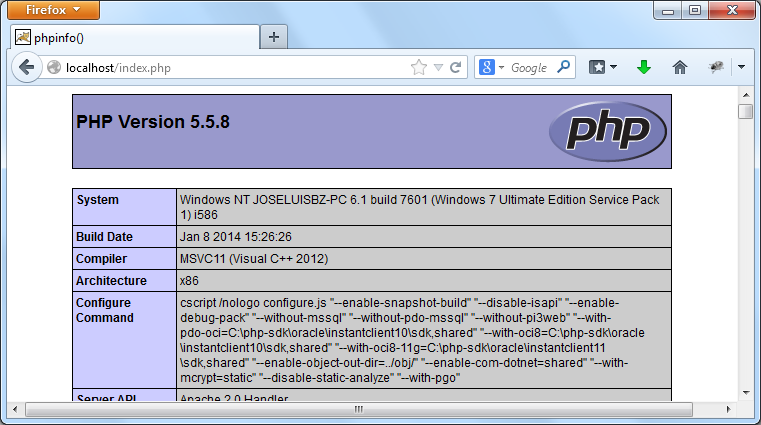 I will use the Php 5.5.8 for Win32. 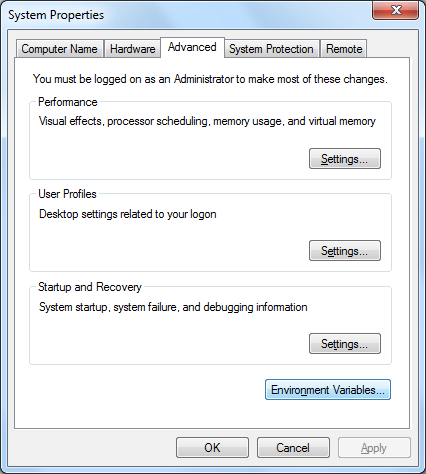 Later, the System Properties dialog box is shown. 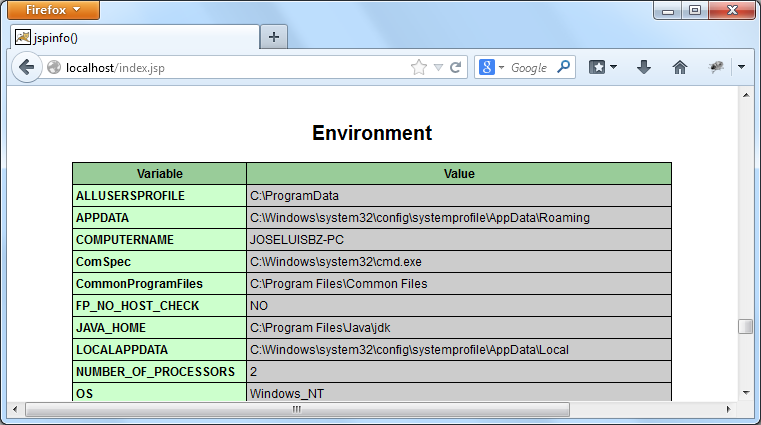 Now, We select Advanced tab and press the Environment Variables button. 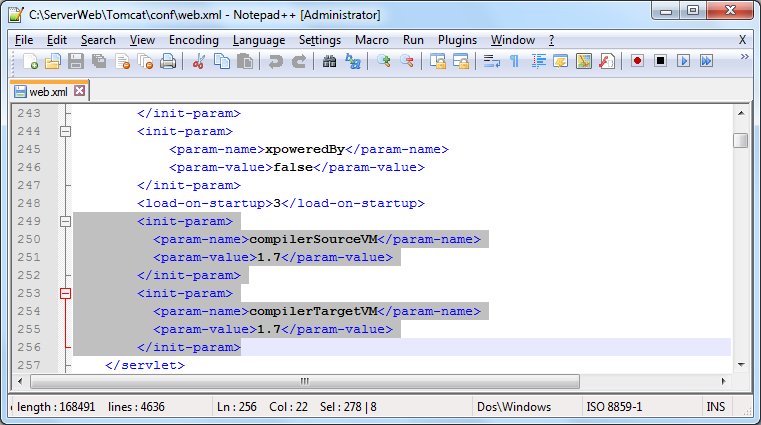 Here we select the Path variable and press the Edit button. 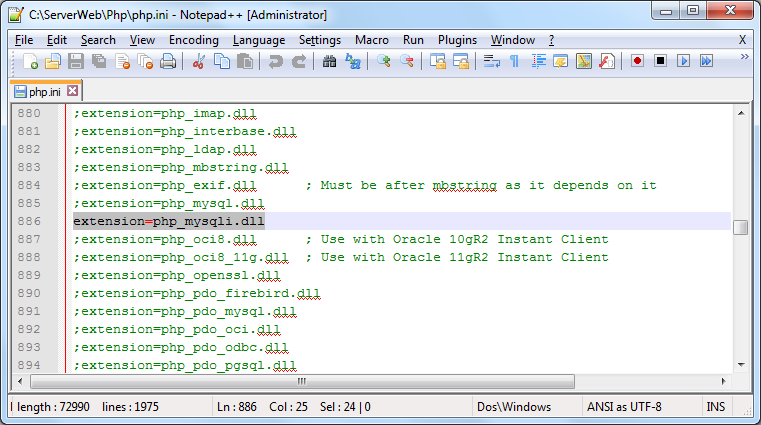 Modify the variable value adding at the end the path of PHP and press the OK button. php.ini-development and php.ini-production, the difference consist into if the errors will be shown, while the version for developing shows the errors and other information, the version for production does not. To enable error tracking change the value of the variable error_log. To limit the size of POST data change the value of the variable post_max_size. 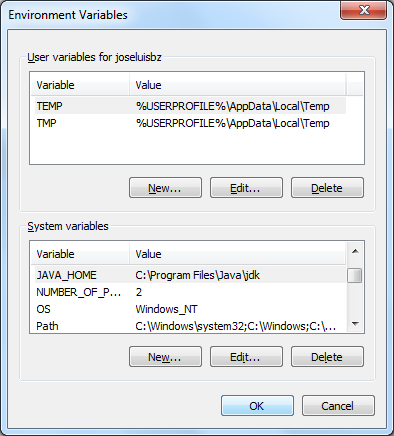 To indicate the folder of extensions change the variable extension_dir. 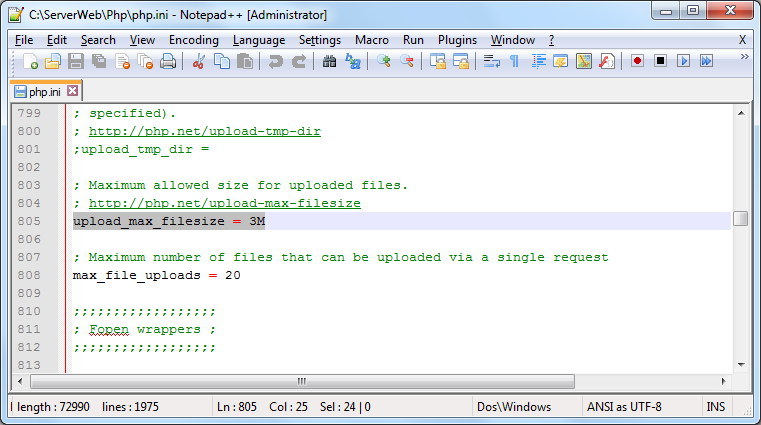 We indicate the maximum file size by changing the variable upload_max_filesize. 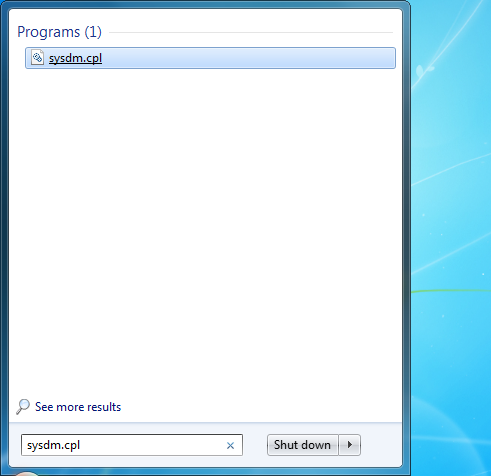 To enable the use of mysqli, uncheck the respective library. 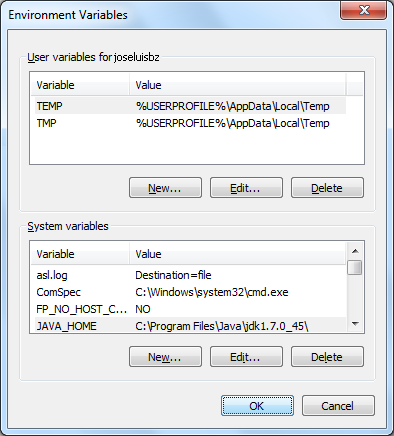 Like other products, if necessary change the version of java, using symbolic link will be easy. 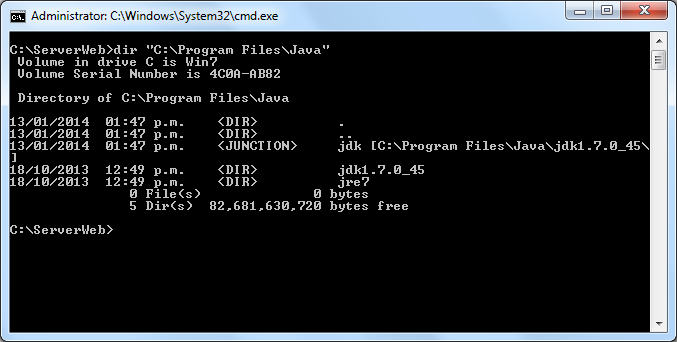 Also create a symbolic link to the directory jdk. 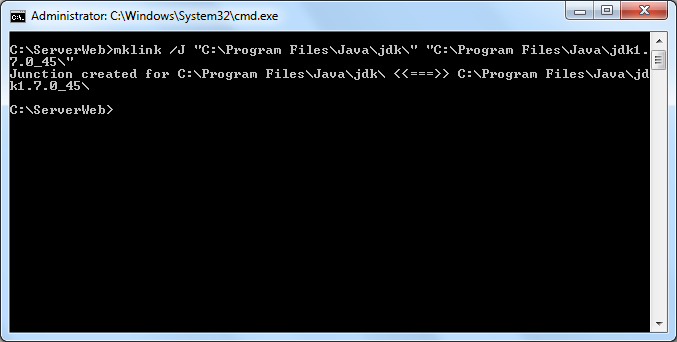 mklink /J "C:\Program Files\Java\jdk\" "C:\Program Files\Java\jdk1.7.0_45\"
Then this post will work with Tomcat 7.0.50 for Win32. Here we press the New button. As you can see the new variable was added. 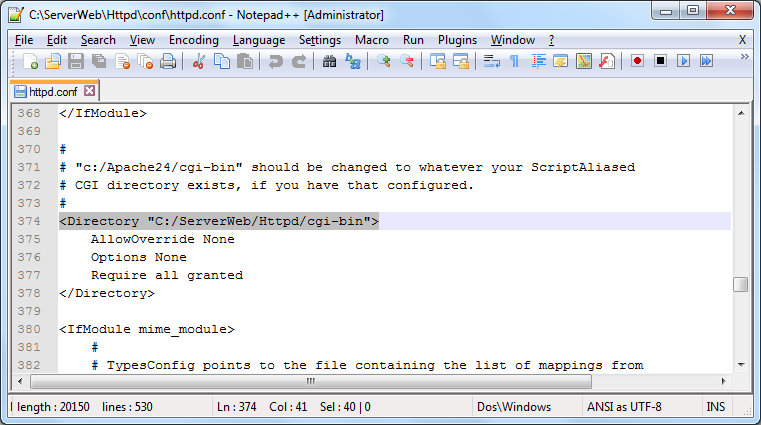 Now we will make some changes optional on some files in the bin subdirectory inside of Tomcat folder. To start Tomcat silently (without console window popup), change in the file named setclasspath.bat, the line set _RUNJAVA. Now, lets go to mak changes in the file service.bat in the bin subdirectory. You can also set the directory where all web applications will be deployed, for this demostration, I made a new folder named Webapps located inside of ServerWeb. Inside of this folder, I made other folder named http, specifically a context that represents an application. 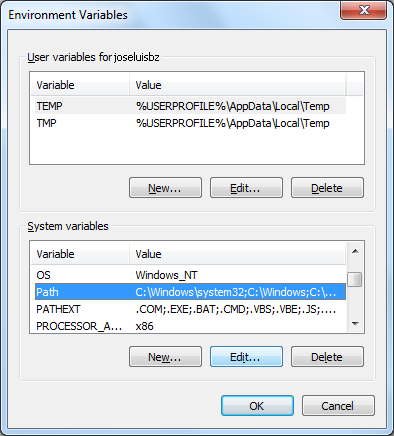 With this configuration is possible to deploy applications in other folder different to initially established by default configuration. 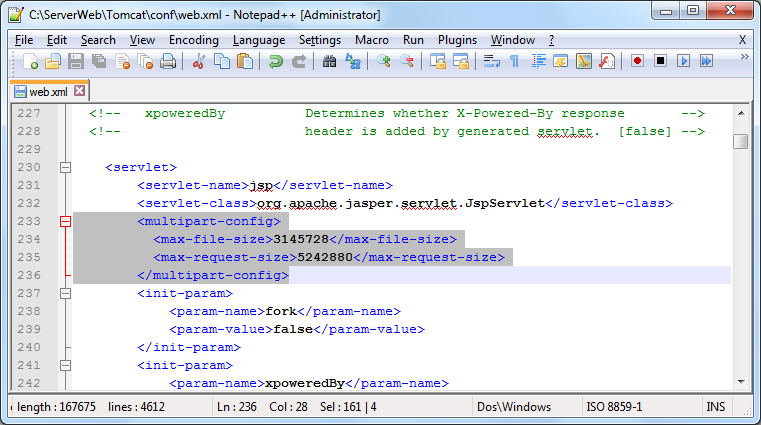 Insert the multipart-config element to enable permanently for all applications file uploads, you can use the optional attributes max-file-size and max-request-size like here among others. 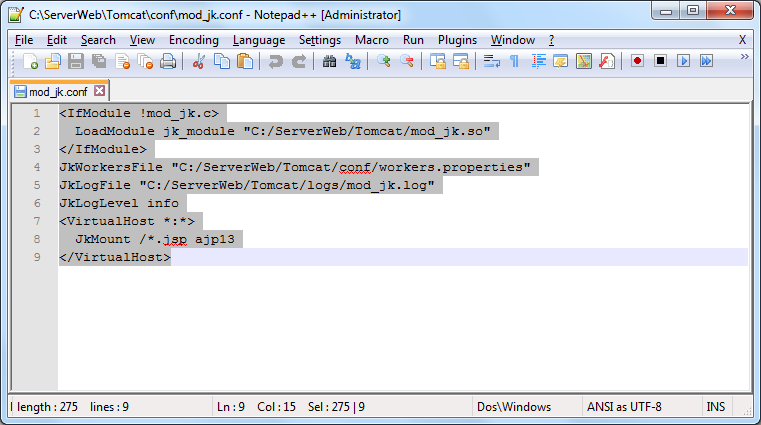 We will need mod_jk module, when a page request comes in, if the request should be handled by Tomcat, Httpd the request to Tomcat via the connector (mod_jk module). 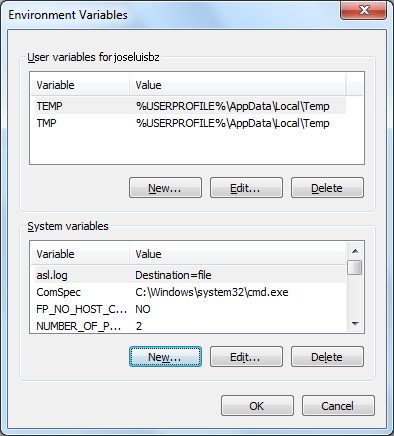 We need to download JK connector, currently is Tomcat Connectors 1.2.37 for Win32, hence the mod_jk.so file is extracted and copied into the Tomcat’s folder. I will use the Httpd 2.4.7 for Win32. 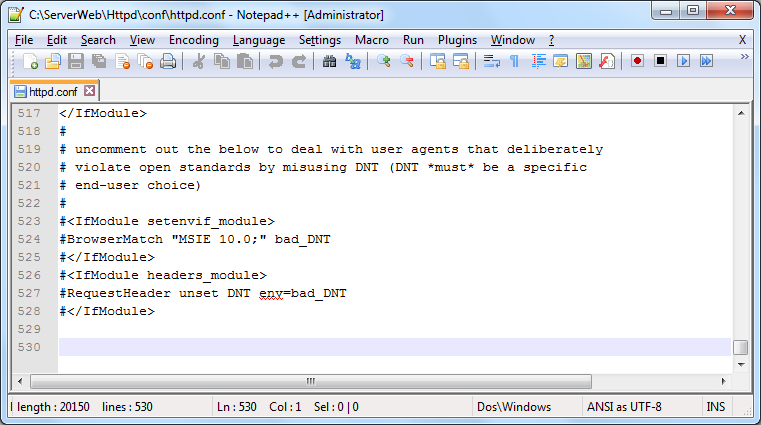 Inside of conf subdirectory of Httpd folder there is one file containing the configuration of httpd with the name httpd.conf, this file need to be edited according to our requirements. Edit the ServerRoot parameter updating the actual installation path. 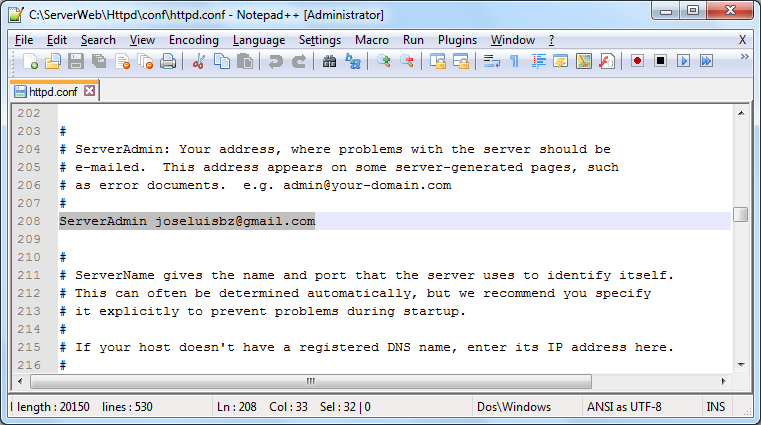 Edit the ServerAdmin parameter to the email address of the server administrator. 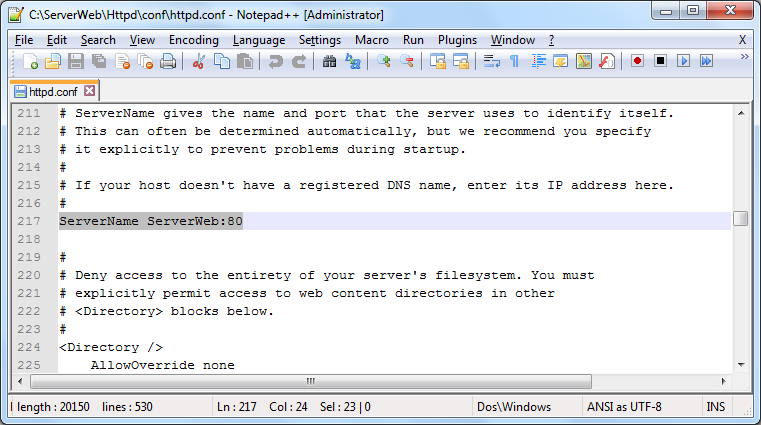 Change the ServerName parameter to the server name and port to use. 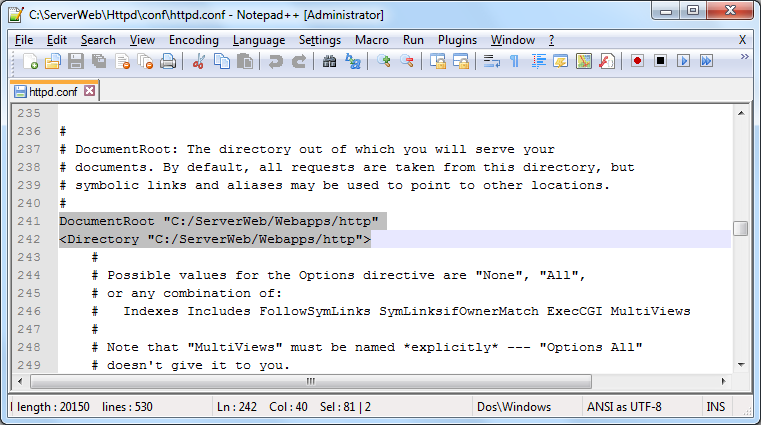 We edit the DocumentRoot (To set the directory from which httpd will serve files) and Directory (to define policies that only apply to the directory and subdirectories) parameters. To avoid the directory listing when there isn’t index file, we delete the Indexes option. To establish the order of precedence of predefined file to be displayed, we modify the value of DirectoryIndex parameter. For future use of CGI establish the required parameters. As you can see, here are the proposed changes have been completed. 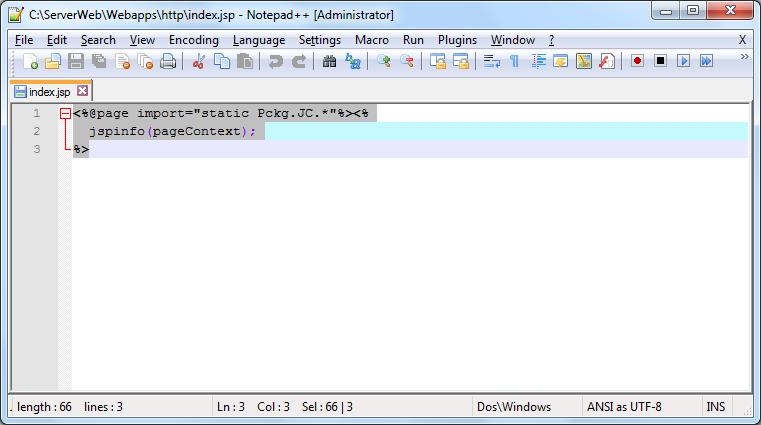 PHPIniDir indicates the folder where php.ini is located. LoadModule php5_module loads the module that allow to Httpd handle Php files. 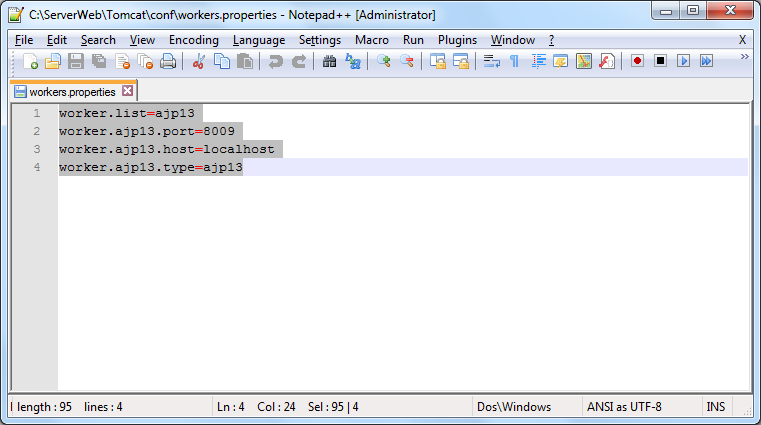 AddType indicates the extension to be identified or related with Php. Include indicates where is located the configuration of Tomcat Connector. httpd.exe -k install -n "Httpd2.4.7" -f "C:\ServerWeb\Httpd\conf\httpd.conf"
httpd.exe -k start -n "Httpd2.4.7"
httpd.exe -k restart -n "Httpd2.4.7"
httpd.exe -k stop -n "Httpd2.4.7"
httpd.exe -k uninstall -n "Httpd2.4.7"
Once you have followed the steps can test your installation. I’m native Spanish speaker, please tell me English Language corrections. Maybe this post is rare for someone, but I will try to explain how to install PHP working with Tomcat. 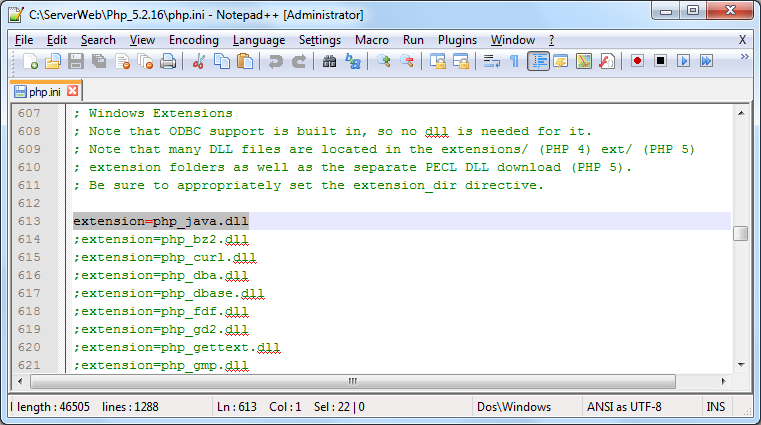 PHP can works with the library named PECL, the last library that help us to reach the goal is the version 5.2.5. 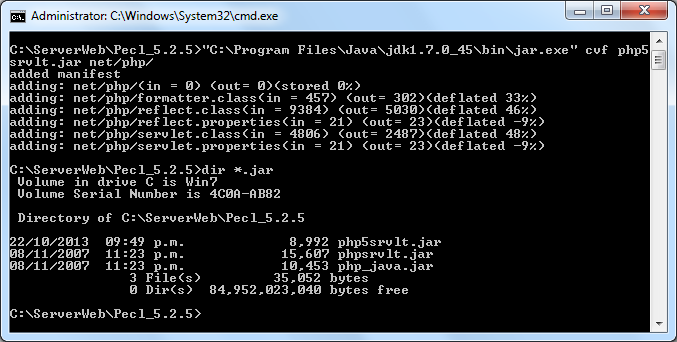 The PECL 5.2.5 library contains .dll and .jar files that allow us to configure some (not all) PHP version with Tomcat. 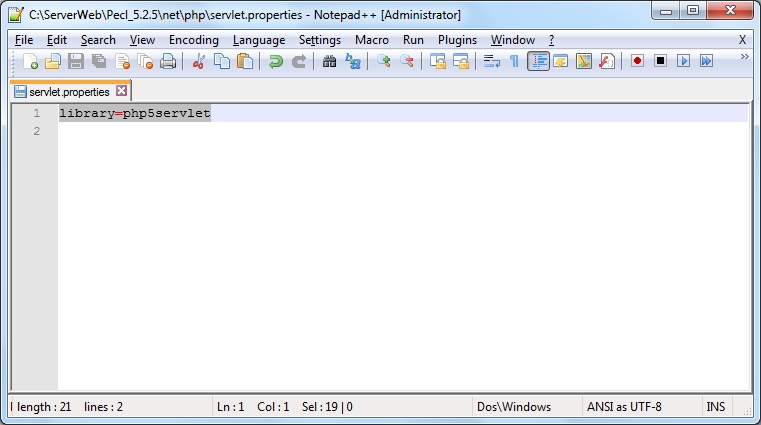 The last version of PHP that works with that PECL version was the 5.2.16. 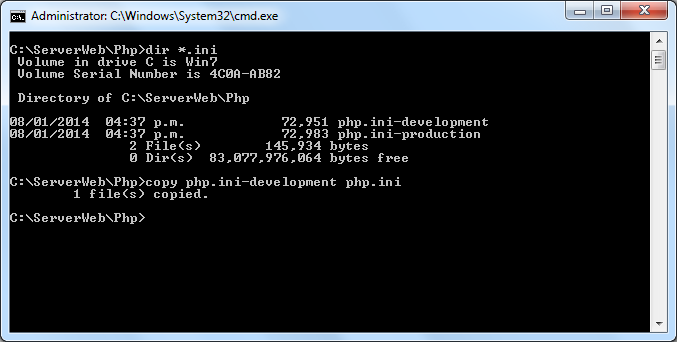 Then I will use the PHP 5.2.16 for Win32. php.ini-dist (for developing) and php.ini-recommended (for production), the difference consist into if the errors will be shown, while the version for developing shows the errors and other information, the version for production does not. 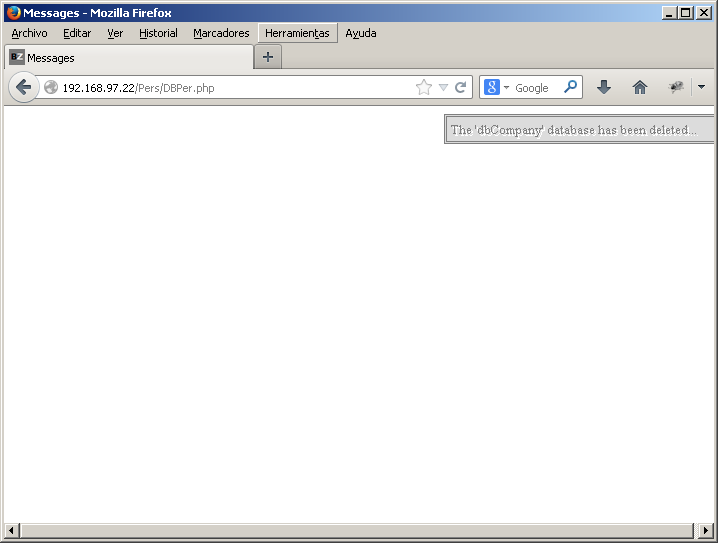 Now lets go to declare to system the path of the PHP. 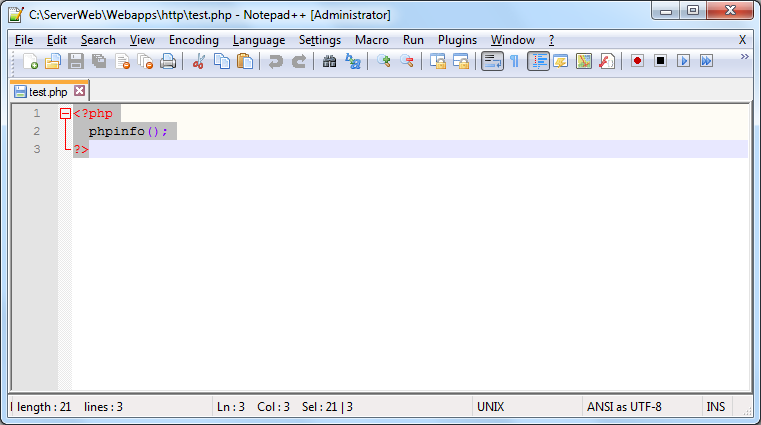 Finally modify the variable value adding at the end the path of PHP and press the OK button. The version of Tomcat tested that worked well was the 7.0.41, because 7.0.42 version had problems with starting and stopping in Windows. 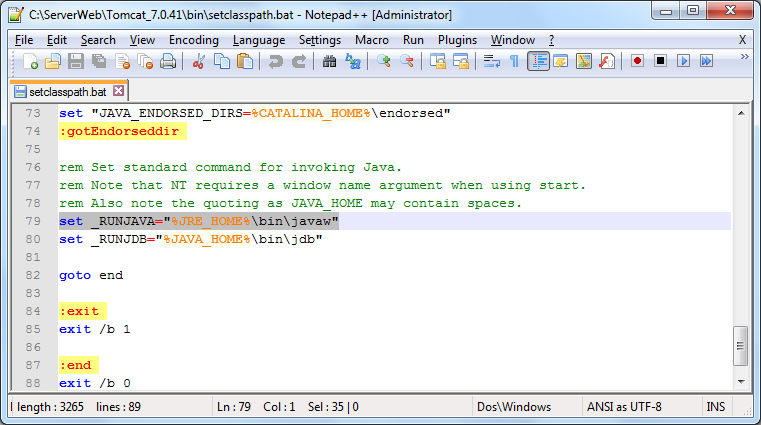 Then this post will work with Tomcat 7.0.41 for Win32. 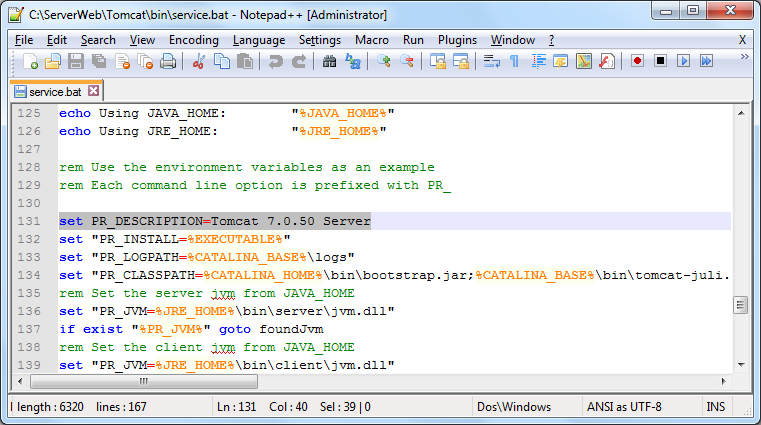 In order to do this, we need to create a new variable with name JAVA_HOME, this variable is checked by Tomcat. 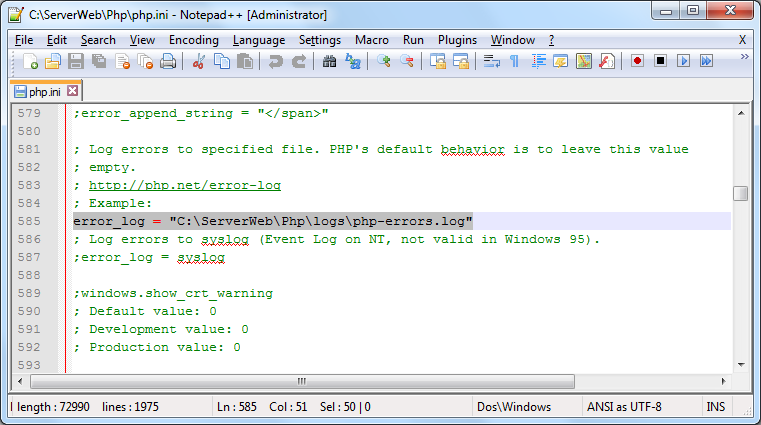 Similarly to declare to path of PHP, but we need to access to Environment Variables, pressing the New button. 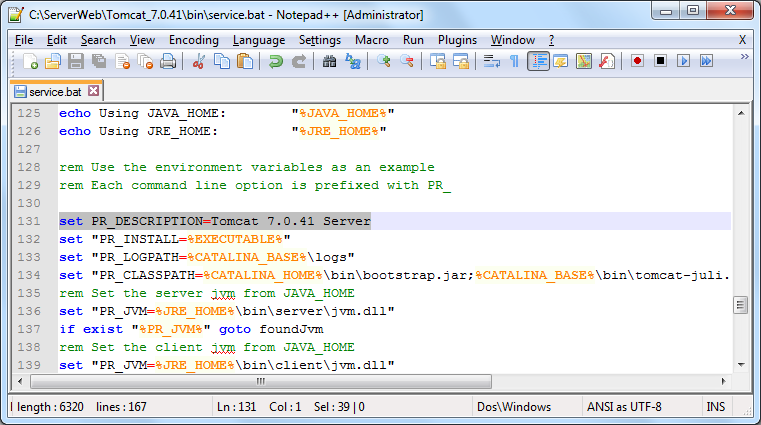 Now we will make some changes optional on some files in the subdirectory named bin inside the folder of Tomcat. 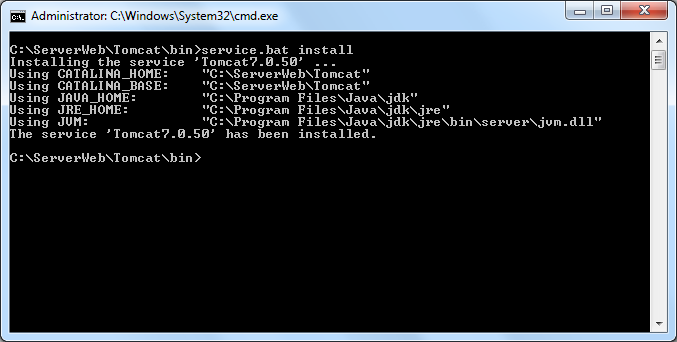 Now, lets go to mak changes in the file service.bat in the subdirectory named bin. 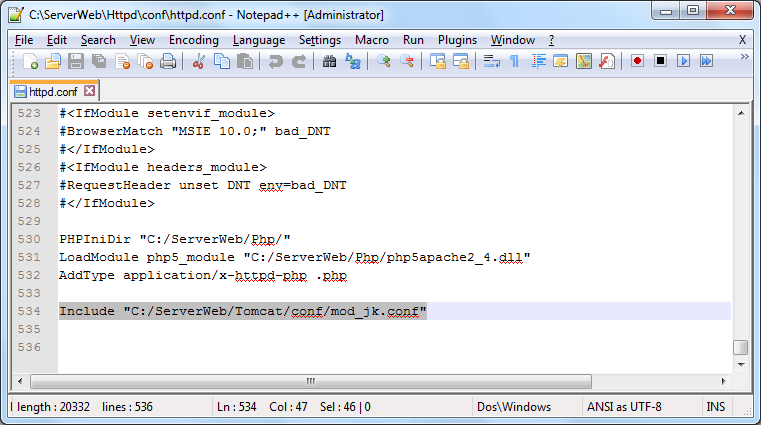 We can modify our web server port, which is initially set to 8080, change it to 80, in this case we need to make changes in the file server.xml in the subdirectory named conf inside the folder of Tomcat. This service can be verified in Windows. 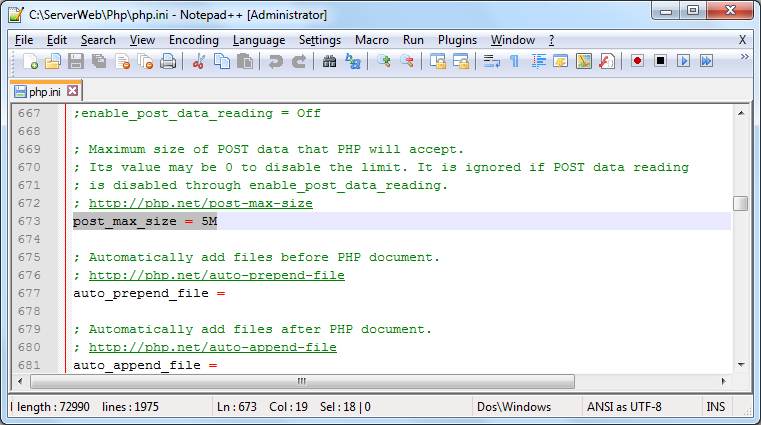 This changes are in order to use PHP with Tomcat. 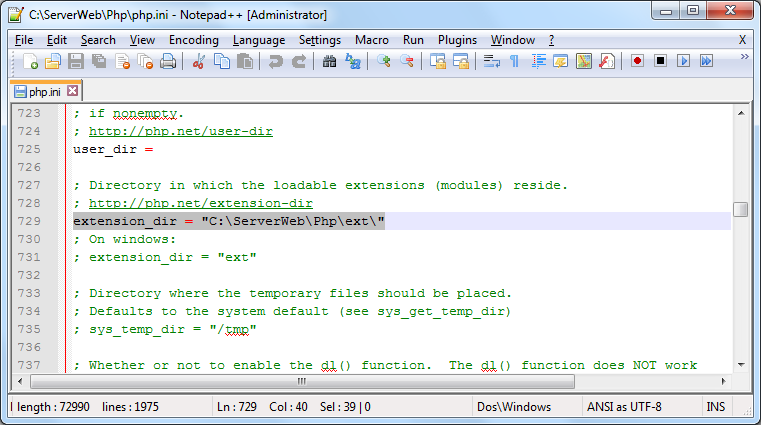 Download the PHP Extension Community Library version 5.2.5 for Win32. 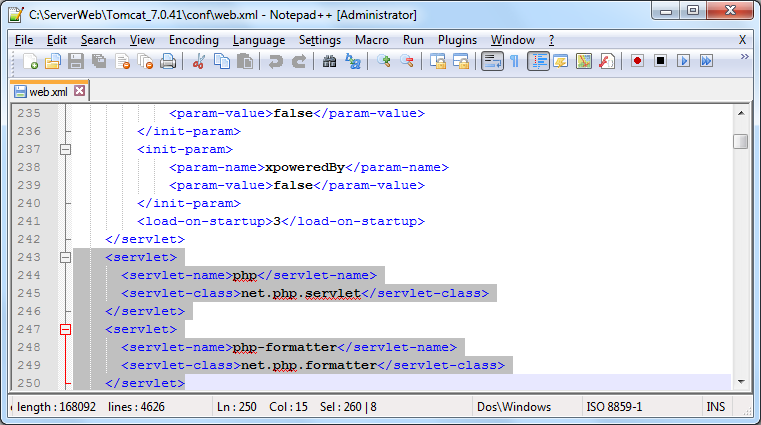 In order to make use of php_java.dll we need to make changes in the configuration file of PHP, php.ini, adding a new line like is shown below. So far everything is ready as far as PHP is concerned. As you can see, without spaces. 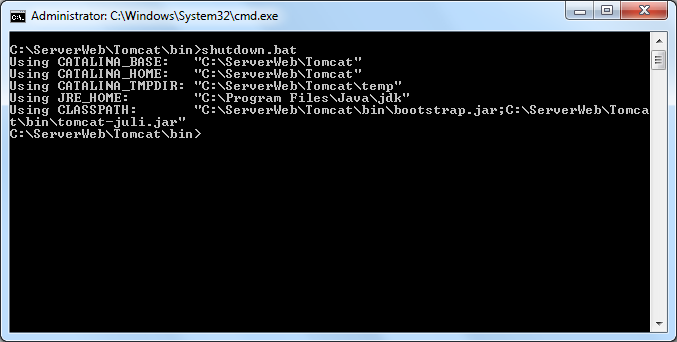 Fourth, include the php5srvlt.jar file to be used by applications in Tomcat, copying this file into subdirectory lib of Tomcat Directory C:\ServerWeb\Tomcat_7.0.41\lib\ in this case will be available for all applications of Tomcat. 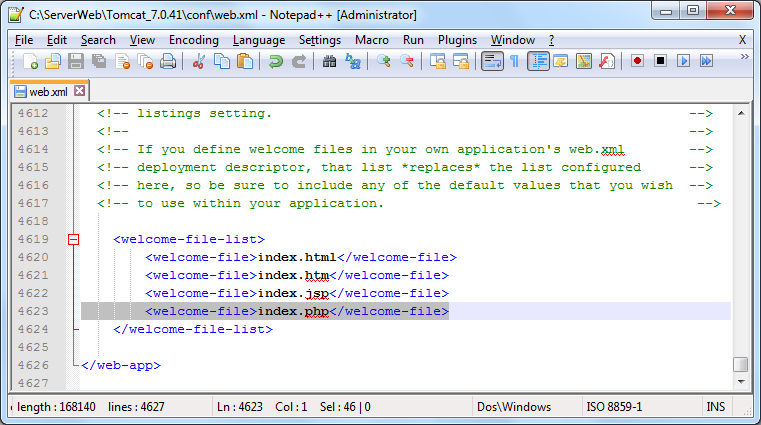 Now, We need to modify the file web.xml (Deployment Descriptor) in the subdirectory named conf inside of Tomcat installation folder. First change: declaring the name of servlet and its classes. 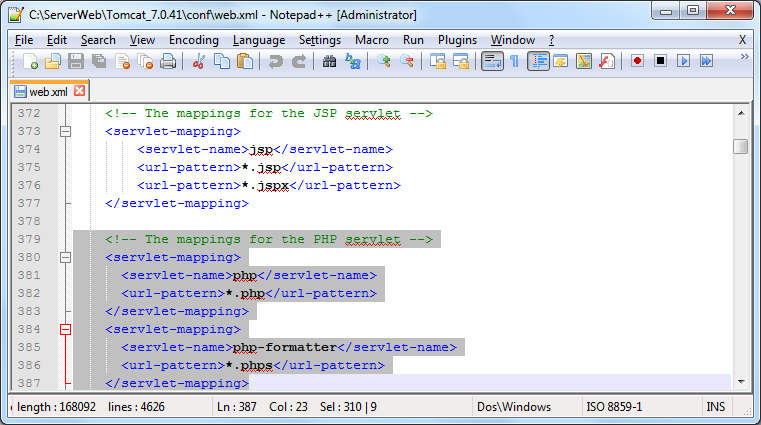 Second change: including the mapping of the servlets and classes declared before. Third change: including and establishing the files and its order in which the default servlet looks for the "welcome file". 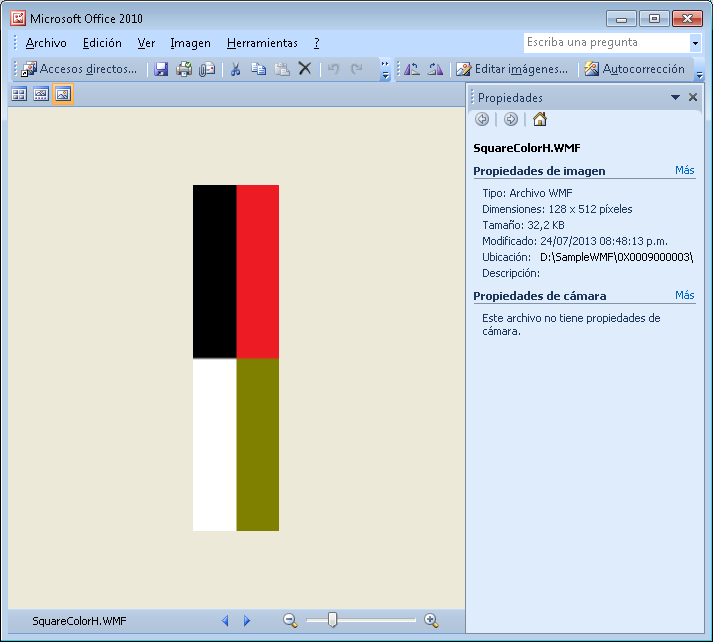 This Post will help you to obtain the Height or Width of one Image if the type correspond to (BMP, PNG, GIF, JPG, TIF or WMF). 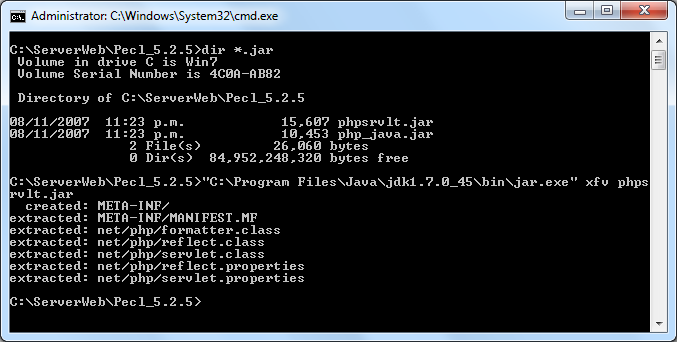 Now, I made a resume of code (Java, PHP) with this porpouse. 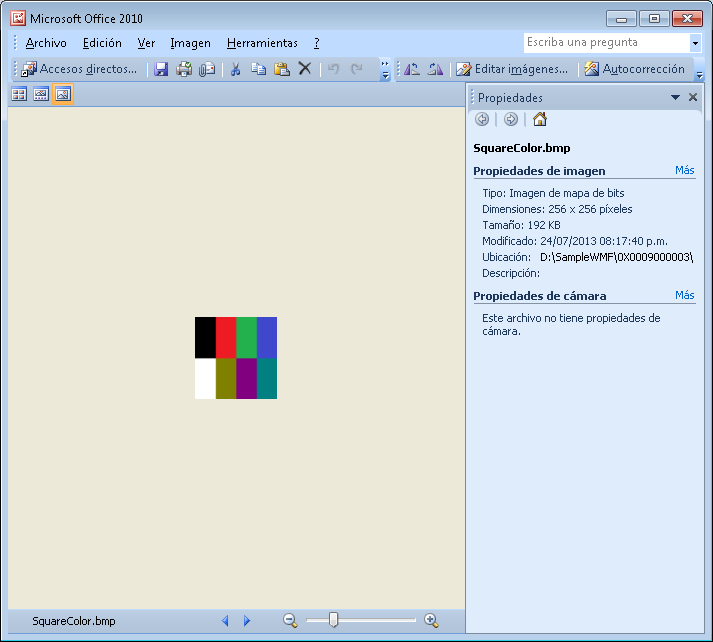 ImageFileName: is the path of file of the image. 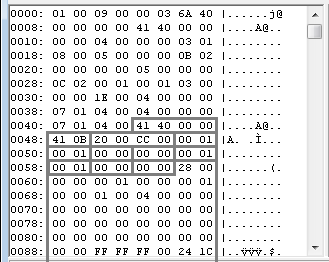 BF: is an array of bytes containing the image’s information. This post is centered in the file that starts with 01 00 09 00 (01000900), this article can be used too with files WMF starting with 02 00 09 00 (02000900). 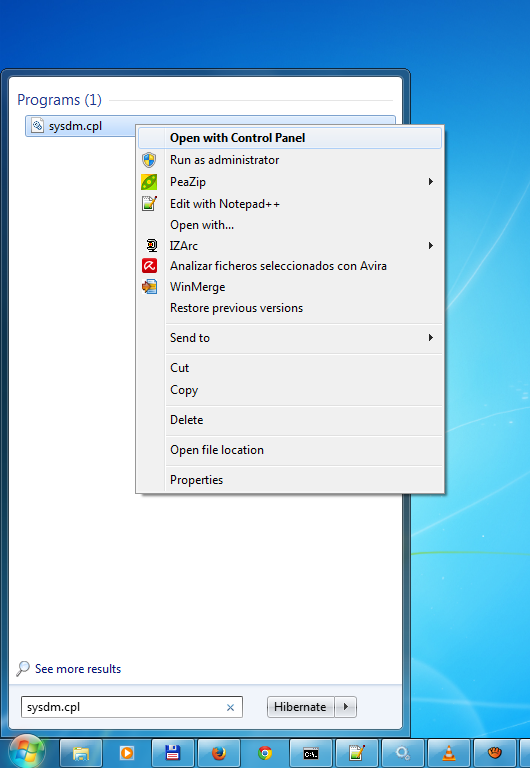 The file can be find in two versions in 01000900 or 02000900. 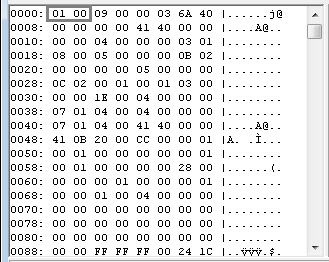 The File uses Little Endianness representation. 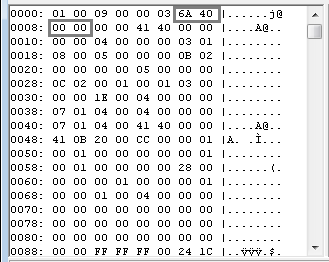 The first two bytes 1(01) and 2(00) describes the type of file, in this case 00 01 that means the type is MEMORYMETAFILE, the page 40 describe the two types. 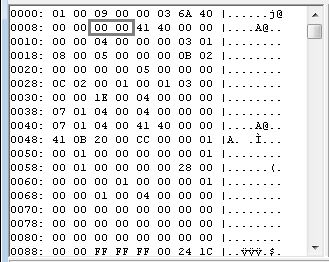 The bytes 3(09) and 4(00) represents the size of this Control Record, in this case 00 09, 9 Words, equivalent to 18 bytes. 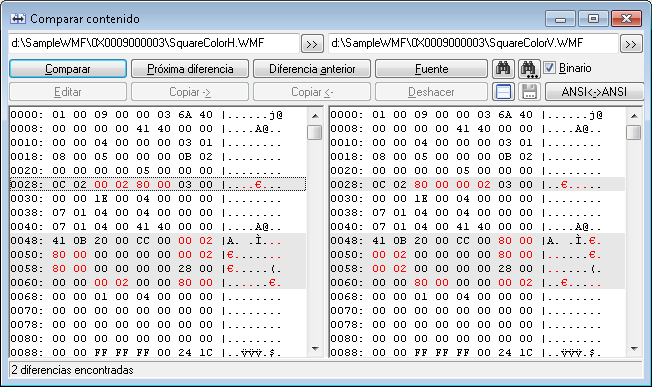 The Bytes 5(00) and 6(03), are describing the version of MetaFile, for our WMF File Example the version is: 03 00 corresponding to METAVERSION300 according to Page 40 of Specification File. 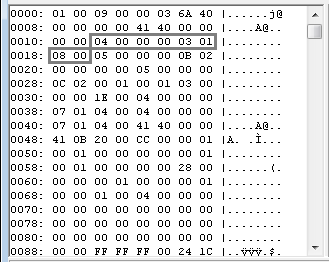 The Bytes 7(6A), 8(40), 9(00) and 10(00) Stores the file size expressed in Words (two byte), in hexadecimal 00 00 40 6A represents 16490 Words in decimal; Expressed in bytes 2×16490 this is 32980 bytes. 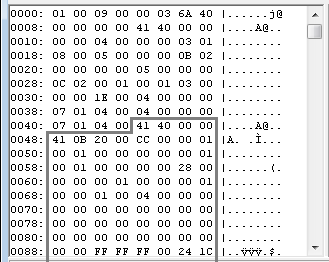 The Bytes 11(00) and 12(00) Indicates the number of objects contained in the file. According to this there is not objects in the file. 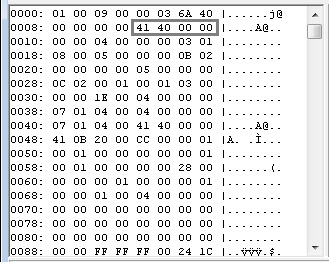 The Bytes 13(41), 14(40), 15(00) and 16(00) Says us that the largest record of contained in the file is in hexadecimal 00 00 40 41 and in bytes 32898. 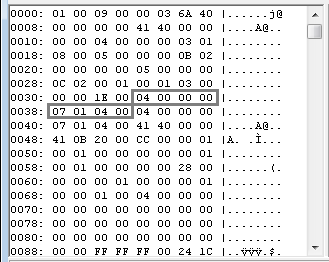 The Bytes 17(00) and 18(00) Are not used. The records are stored in serial mode (one after another). The first four bytes (two words) indicate the size of record, the following two bytes (one word) indicate the operation or function. The remaining bytes (Size in bytes less six bytes) are the function argument. In this file we have several records, I made in Java an extraction of this information (Only is applicable to this file .wmf). The position of this application starts from 0, but the position of this post starts from 1; Thus, The byte 19th of this post is stored in the position 18th of this picture; and so on for the remainder. 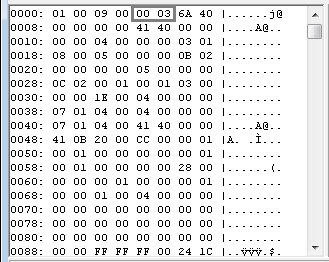 The bytes 19(04), 20(00), 21(00) and 22(00) tell us the size of this record is 8 bytes (4 words); the record is stored in the bytes from 19 until 26, according to byte 23(03) and byte 24(01) the function code is 0103 that correspond to META_SETMAPMODE, and the argument is stored in the remaining 2 bytes 25(08) and 26(00) with code 0008 that correspond to MM_ANISOTROPIC. 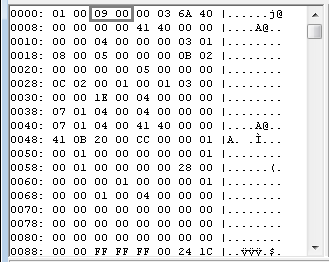 The bytes 27(05), 28(00), 29(00) and 30(00) tell us the size of this record is 10 bytes (5 words); the record is stored in the bytes from 27 until 36, according to byte 31(0B) and byte 32(02) the function code is 020B that correspond to META_SETWINDOWORG, and the argument is stored in the remaining 4 bytes 33(00), 34(00), 35(00) and 36(00) . According to this function the first two bytes represents horizontal position (0 in this case) and the last two bytes represents the vertical position (0 in this case), in this manner the position is 0,0. 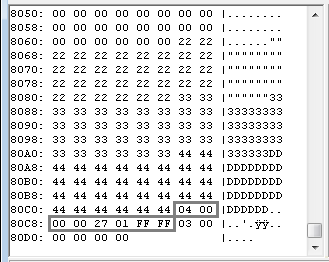 The bytes 37(05), 38(00), 39(00) and 40(00) represents the size of this record is 10 bytes (5 words); the record is stored in the bytes from 37 until 46, according to byte 41(0C) and byte 42(02) the function code is 020C that correspond to META_SETWINDOWEXT, and the argument is stored in the remaining 4 bytes 43(00), 44(01), 45(00) and 46(01) . 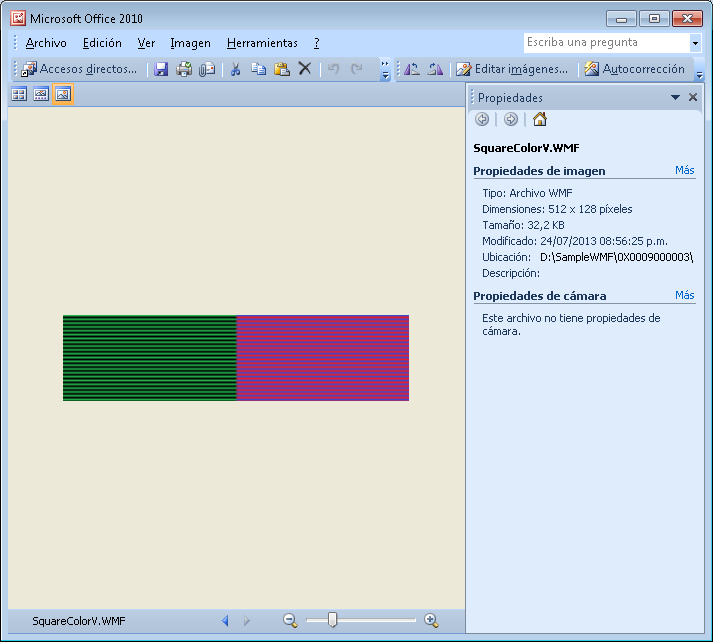 According to this function the first two bytes represents horizontal size (256 in this case) and the last two bytes represents the vertical size (256 in this case), in this manner the dimension is 256×256. Now we have a record that only contains, the size 6 bytes (3 words) represented by the bytes 47(03), 48(00), 49(00) and 50(00) and the function code 001E stored in the bytes 51(1E) and 52(00) that is META_SAVEDC. 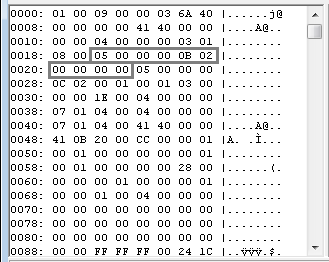 The Record 6 has a size 8 bytes, stored from the byte 53 until the byte 60, the function code is 0107 representing META_SETSTRETCHBLTMODE and the argument is 0004 equivalent HALFTONE. The record 7 is similar to the record 6, with the difference that is stored from the bytes 61 until the byte 68. Maybe is the record most important of this file. The size is 32898 bytes according to the bytes 69(41), 70(40), 71(00) and 72(00). 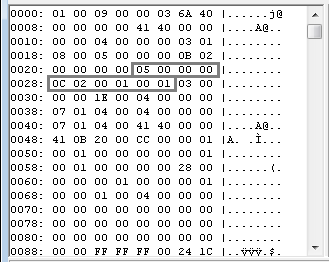 Raster Operation is stored in bytes 75(20), 76(00), 77(CC) and 78(00) is 00CC0020 equivalent to SRCCOPY can be verified in the page 71. SrcHeight is stored in the bytes 79(00) and 80(01) is 0100 equivalent to 256. SrcWidth is stored in the bytes 81(00) and 82(01) is 0100 equivalent to 256. 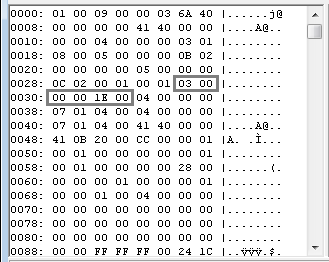 YSrc is stored in the bytes 83(00) and 84(00) is 0000 equivalent to 0. XSrc is stored in the bytes 85(00) and 86(00) is 0000 equivalent to 0. DestHeight is stored in the bytes 87(00) and 88(01) is 0100 equivalent to 256. DestWidth is stored in the bytes 89(00) and 90(01) is 0100 equivalent to 256. YDest is stored in the bytes 91(00) and 92(00) is 0000 equivalent to 0. XDest is stored in the bytes 93(00) and 94(00) is 0000 equivalent to 0. HeaderSize is stored in the bytes 95(28), 96(00), 97(00) and 98(00) is 00000028 equivalent to 40 bytes. Width is stored in the bytes 99(00), 100(01), 101(00) and 102(00) is 00000100 equivalent to 256. Height is stored in the bytes 103(00), 104(01), 105(00) and 106(00) is 00000100 equivalent to 256. Planes is stored in the bytes 107(01) and 108(00) 0001 equivalent to 1, Page 81. BitCount is stored in the bytes 109(04) and 110(00) 0004 equivalent to BI_BITCOUNT_2, Page 25. Compression is stored in the bytes 111(00), 112(01), 113(00) and 114(00) is 00000000 equivalent to BI_RGB, Page 29. ImageSize is stored in the bytes 115(00), 116(01), 117(00) and 118(00) is 00000000 This may be set to 0 for BI_RGB, Page 81. 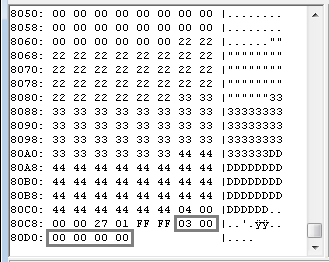 XPelsPerMeter is stored in the bytes 119(00), 120(01), 121(00) and 122(00) is 00000000. YPelsPerMeter is stored in the bytes 123(00), 124(01), 125(00) and 126(00) is 00000000. 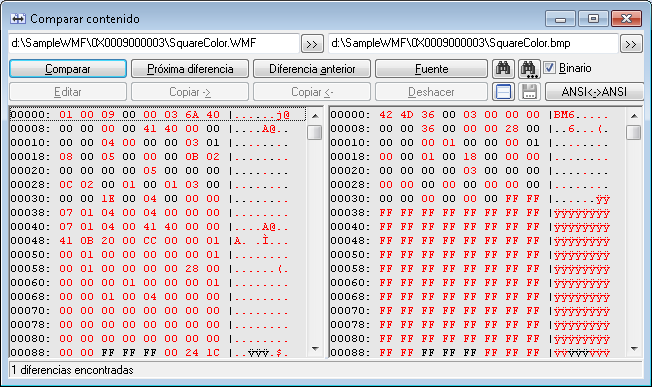 ColorUsed is stored in the bytes 127(00), 128(01), 129(00) and 130(00) is 00000000, the bitmap uses the maximum number of colors. 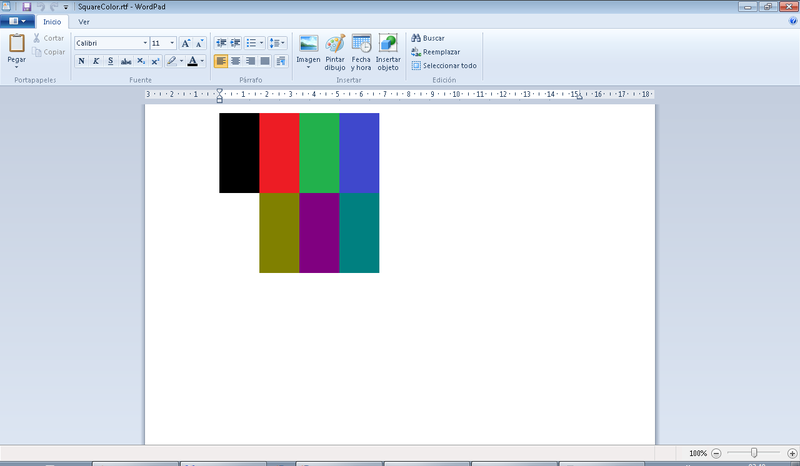 ColorImportant is stored in the bytes 131(00), 132(01), 133(00) and 134(00) is 00000000, where all colors are required. 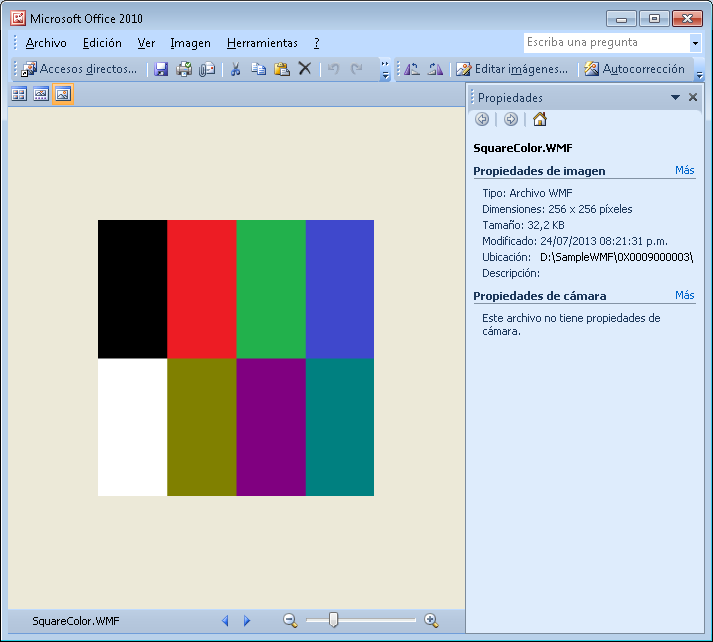 You can see that this example contains a field named ColorUsage stored in the bytes 135(00), 136(00), 137(00) and 138(00), equivalent to DIB_RGB_COLORS, Page 29. 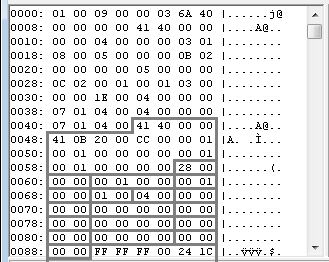 The aData Is the last field of this record, consist in array of bytes(with variable size) defining the actual bitmap bits. In this case, the record 9 is located just before the last record, this penultimate record has a size of 8 bytes (4 words), the funcion code is 0127 refering to META_RESTOREDC and like the value of its argument named nSavedDC is FF FF equivalent to negative number, nSavedDC represents an instance relative to the current state. 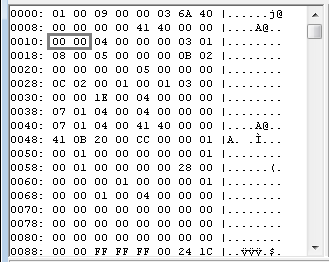 The last record is incated with a record of the last 6 bytes (3 words), as you can see the function code in this case is stored in the last two bytes with penultimate byte (00) and last byte (00) this is 0000 belongs to META_EOF. 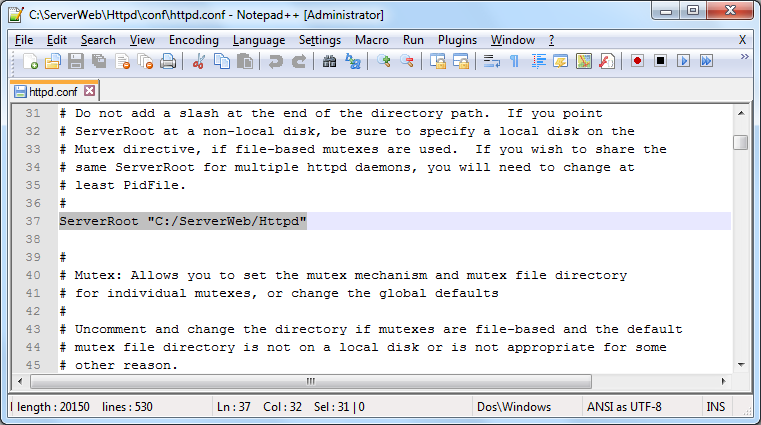 Now, I post a file example with some modifications that allow us, to view the behaviour with this changes. The size of the original image is 256x256, now the product of the vertical size with the horizontal size is the total image size equal to 65536, this size was stablished because changing original vertical and horizontal symmetrically this total image size can be preserved with the same value. Example of this is 128x512 or 512x128, the changes can be made following the Height and Width dimension stored in the original file and detailed in this post. Just like that we was reviewing the post the 256 number is represented in hexadecimal like 100, if 2 bytes are used with Little Endianness representation will be 1(00) and the 2(01): 00 01; if 4 bytes are used in this case the representation will be 1(00), 2(01), 3(00) and 4(00): 00 01 00 00. The decimal number 128 is represented in hexadecimal like 80, if 2 bytes are used with Little Endianness representation will be 1(80) and the 2(00): 80 00; if 4 bytes are used in this case the representation will be 1(80), 2(00), 3(00) and 4(00): 80 00 00 00. The decimal number 512 is represented in hexadecimal like 200, if 2 bytes are used with Little Endianness representation will be 1(00) and the 2(02): 00 02; if 4 bytes are used in this case the representation will be 1(00), 2(02), 3(00) and 4(00): 00 02 00 00. Now just we need change one 256 by 128 y the other 256 by 512, according to which dimension we want to establish. Now if you have comments, please let me know.